Hello people!! 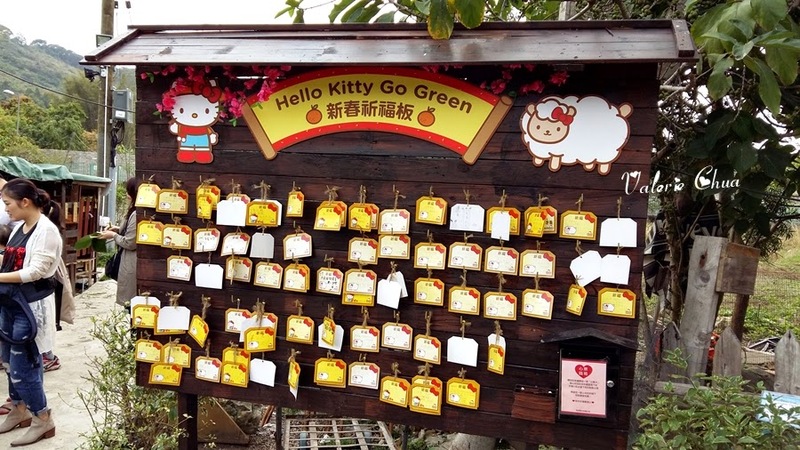 I know all the Hello Kitty fans are getting hyper when reading the title of this post! 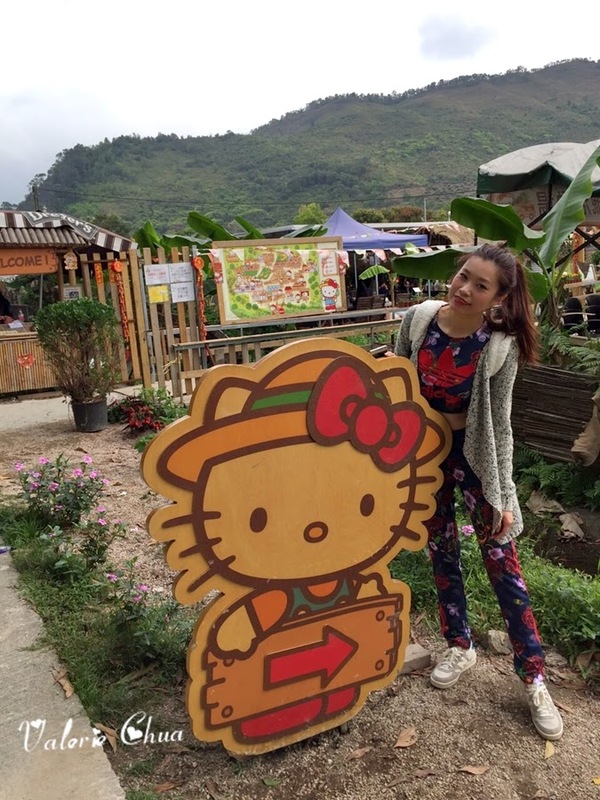 As I mentioned before, my man's girlfriend just wanna go to 2 places, and Hello Kitty Go Green Organic Farm is definitely one of it! Floral sporty set, Adidas by Rita Ora. Hello Kitty fluffy bag, by Sanrio but bought in Kinokuniya. I was pretty hungry at about 9am when I woke up. But my man dragged me to sleep and said I would not feel hungry if I sleep. =.= Yeah man, then we ended up going out from hotel at about 1pm. Can you guess what we hunt for in the morning? 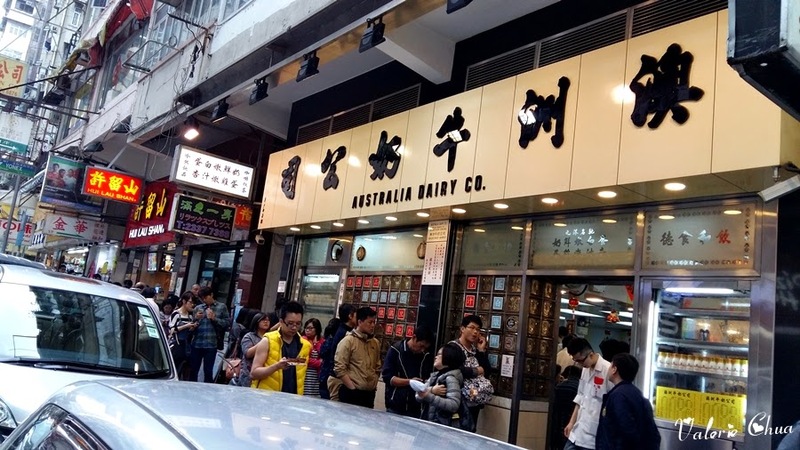 澳洲牛奶公司 (Australia Dairy Co.), one of the super famous eatery in Hong Kong, where locals and tourists also like to visit here. Look at the queue, you should know how famous they are. Our breakfast set. My macaroni with char siew and his spaghetti with char siew. 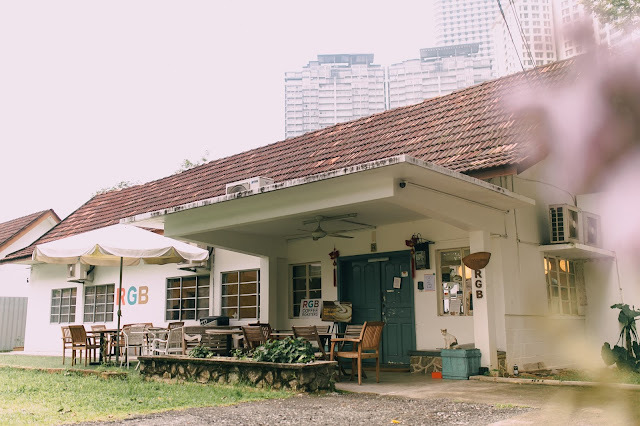 Our sets come with toast bread, a choice of scramble egg or sunny side up, and a choice of coffee or tea. Their scramble egg is super yummy! 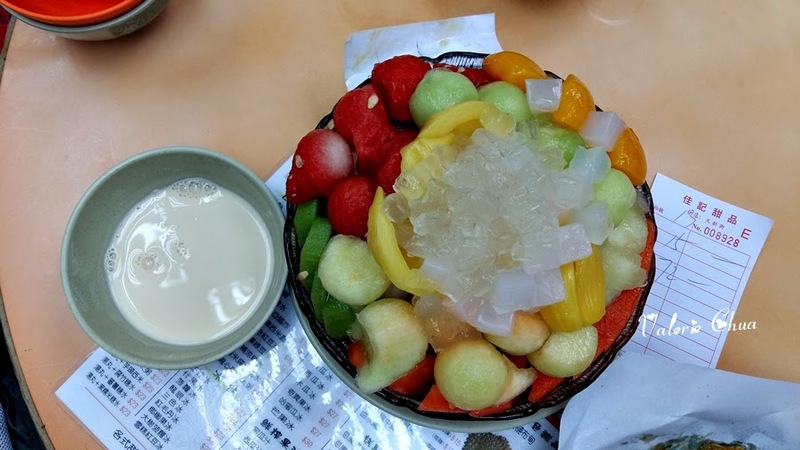 Their signature dish including steamed egg white pudding with milk. Personally found it okay, but not a fan for this. Due to super crowded, we are not allow to choose own seating. The waiter will assign you with your table and you just sit and share table with other patrons. Basically I am forced to sit really straight and still with my back totally stick on the wall, my legs can't move anymore once I sat down. The super limited space in the cafe made my leg numb after I done with my meal. My advice: Please make your mind on your food choices right after you sit down. Do not take your own sweet time to browse through the menu because others might stare at you and show you annoy face. The speedy serving time will definitely amaze you. LOL. 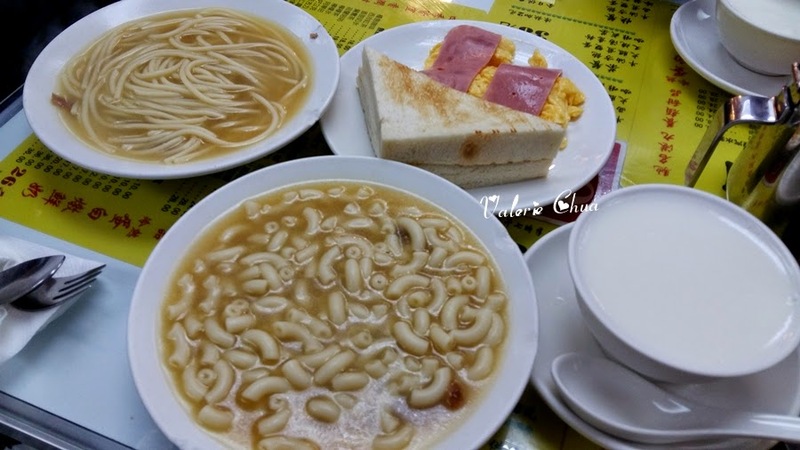 After the very Hongkongers style of breakfast brunch, we departed to my dream destination!! 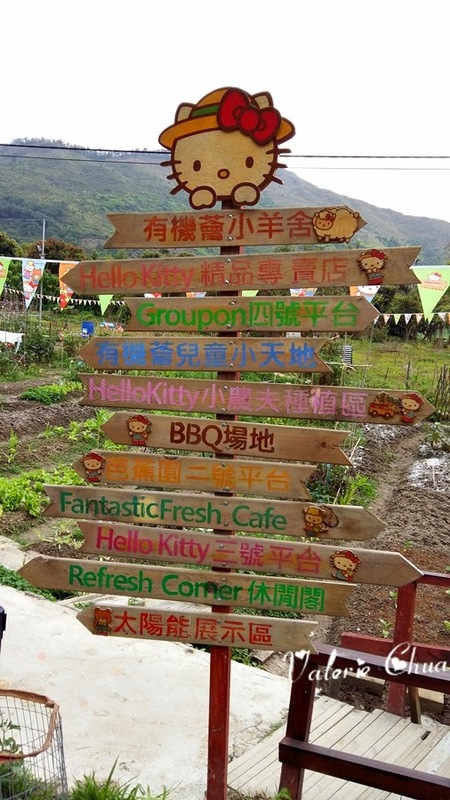 Below I will show you the direction to Hello Kitty Go Green Organic Farm, for those who are planning to visit there! 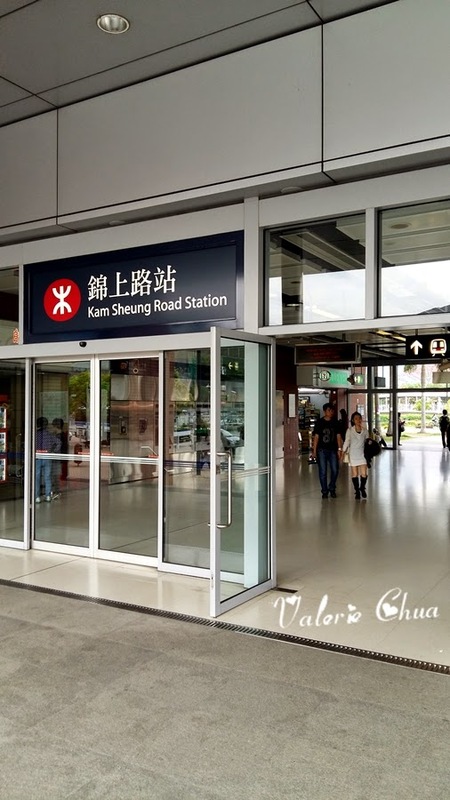 Take the MRT all the way to Kam Sheung Road Station and go out at Exit A. 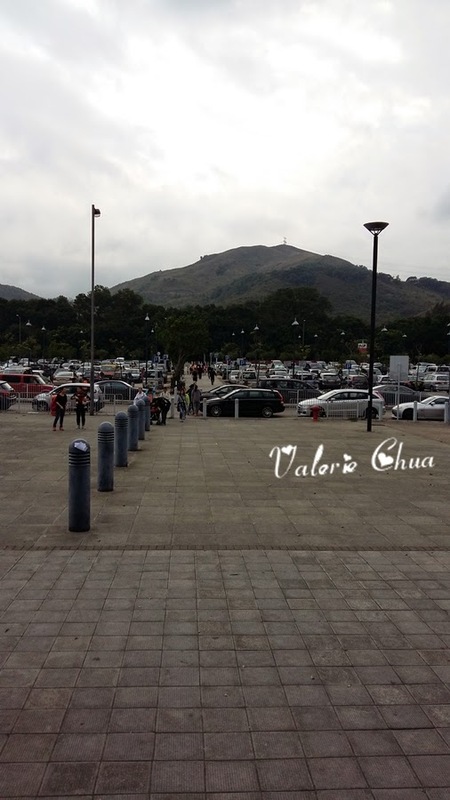 You will see an open car park once you go out from the MRT station. Just walk all the way straight and you will see a banner like below #6. 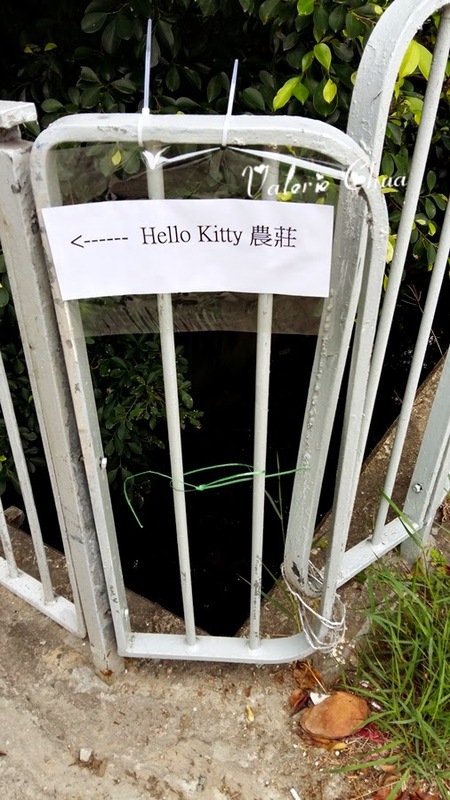 A Hello Kitty banner will be there to direct you. Follow the arrow and walk further. 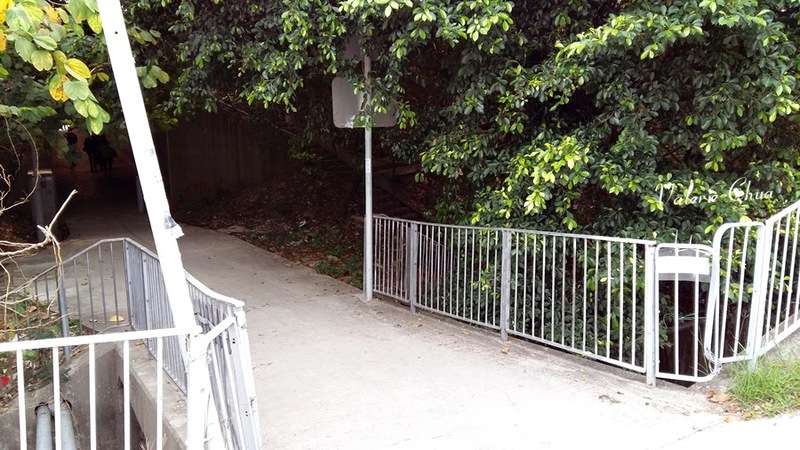 This is a very tricky junction that you might miss out if you do not pay attention. This will be the first left junction after you walk from #6. Super mini signage. Now you know what I meant by tricky? LOL. If you take a look again on #7, you will realize there is like a blank white paper there only. 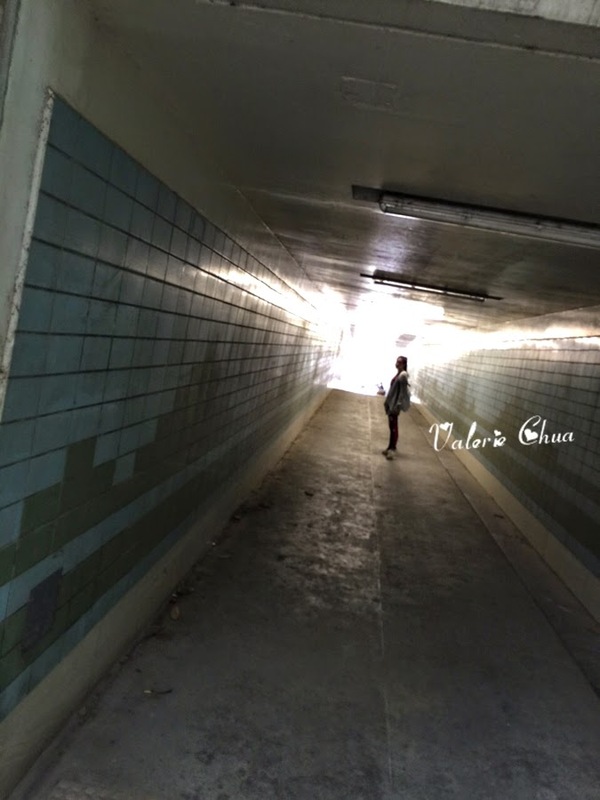 Once you walk out from tunnel, you will see this. Turn to your left. Beware, there is another farm on the right. Make sure you don't turn to the wrong side. And here I am!! Deng deng!! 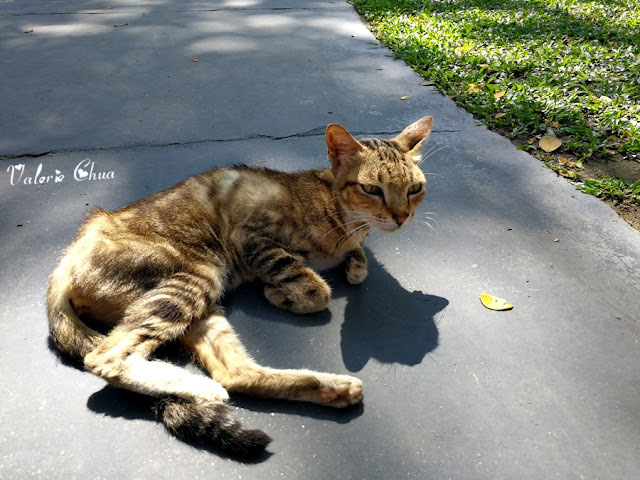 A huge Kitty welcoming us near the entrance! Damn it. 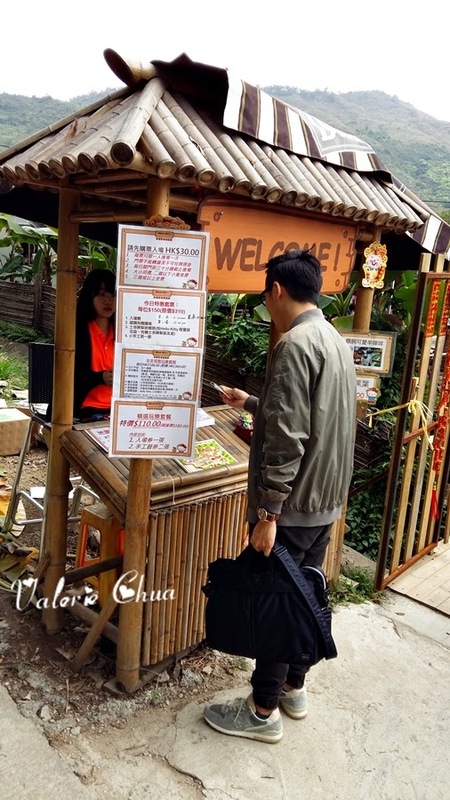 My man look so unwillingly paying the entrance fees. >_< The fees is HKD30 on weekend and public holiday. 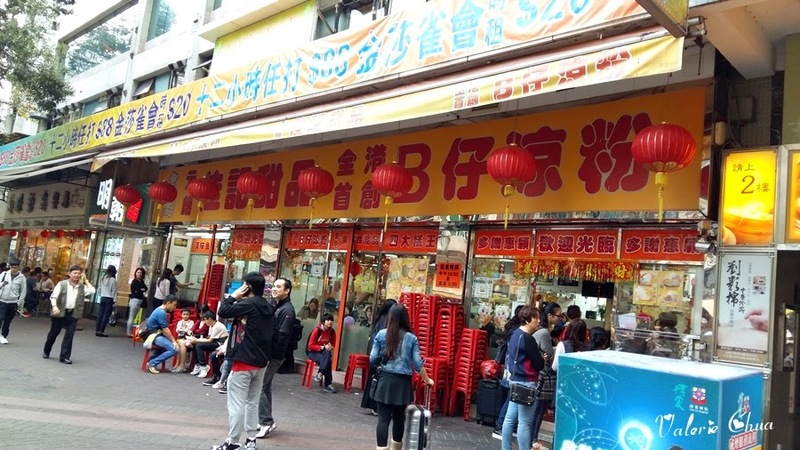 Normal days charge at HKD20. Different activity corners. This is no.1 activity site. Such a cute photo frame prop! 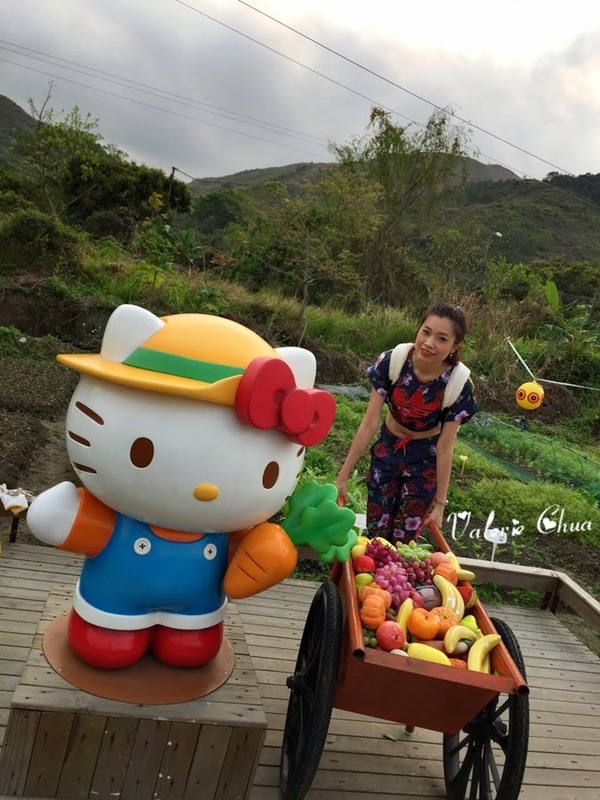 With 2 Hello Kitty scarecrows!! So cute!!! 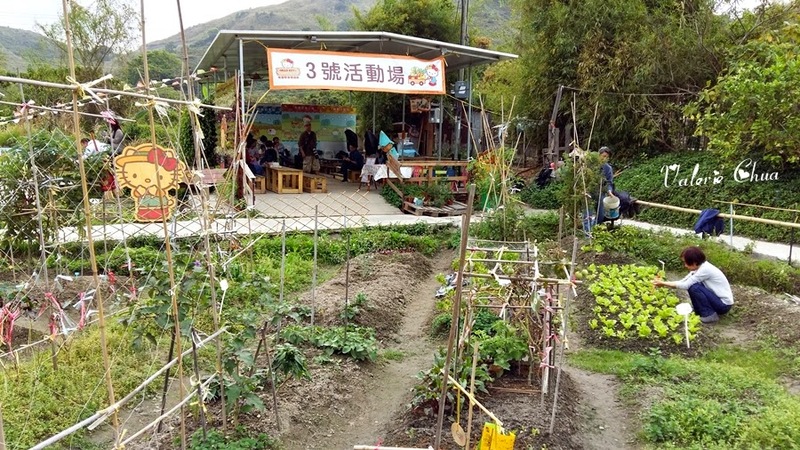 Family spending their time there to plant some vegetables, fruits or flowers. 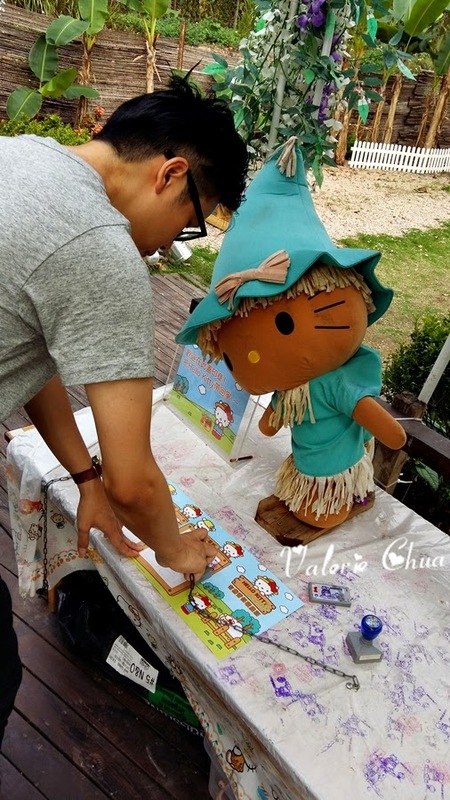 The way how Kitty scarecrow takes care of her 'properties' (stamping) is to look at you while you stamping. LOL. 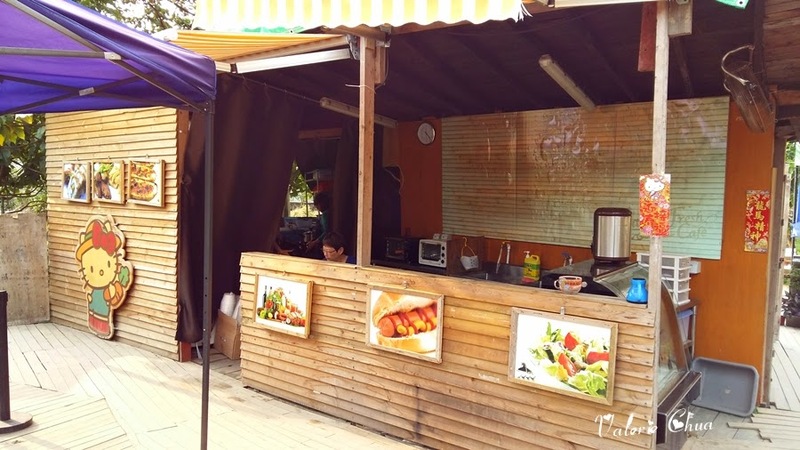 There is a BBQ area too for visitors to organize a party here. 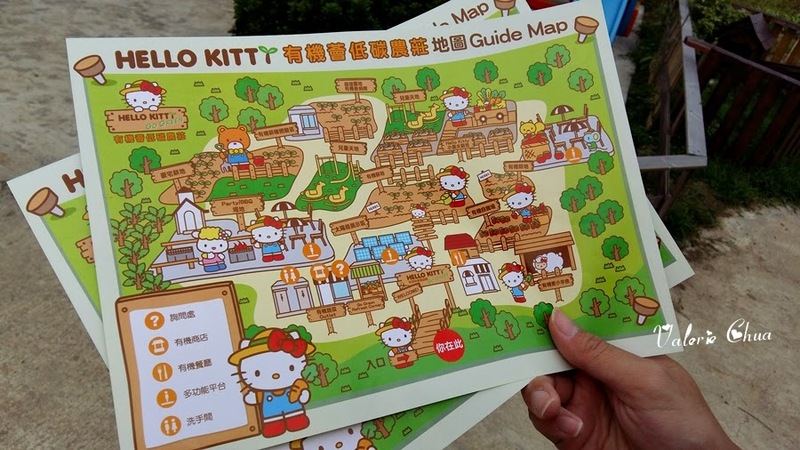 Even the guide map is so irresistibly cute!!! 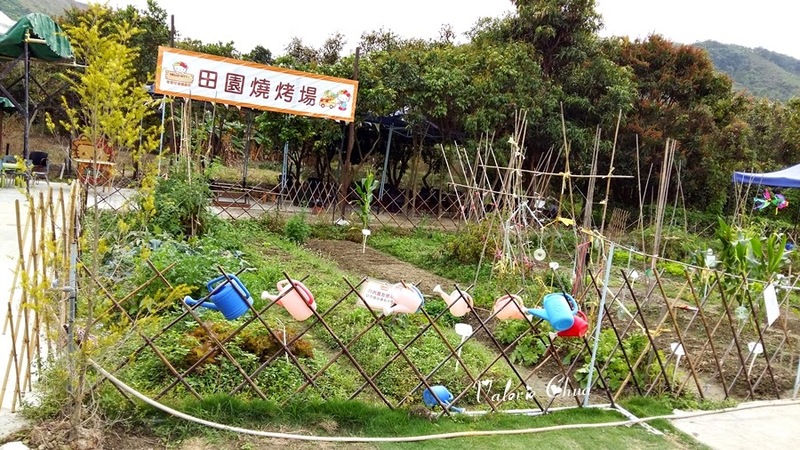 You can also feed sheep here. You can enjoy your meal at the cafe too. I didn't thou. 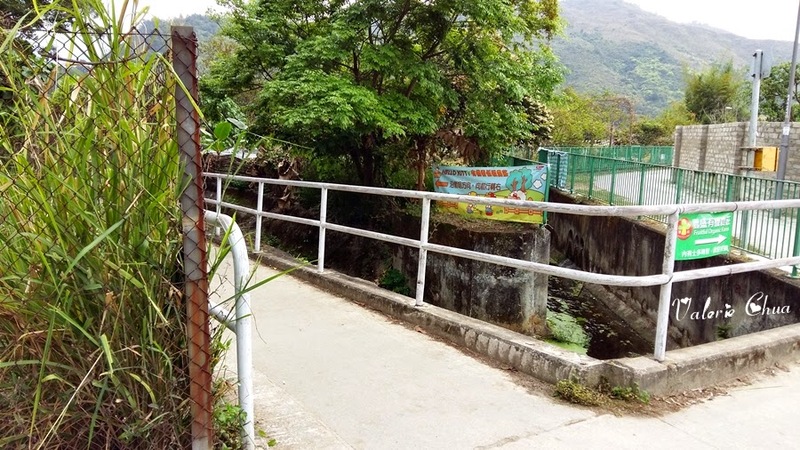 The no.4 activity site, which is opposite to no.1 activity site. 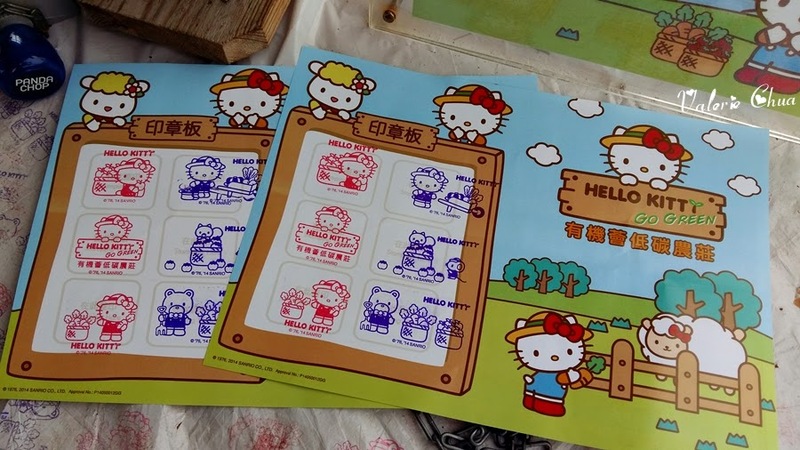 Collect all stamps and you can entitle a discount of HKD10 for the Hello Kitty Scarecrow plush. :) Not sure is the discount entitlement change over the time, do check out at the gift shop. 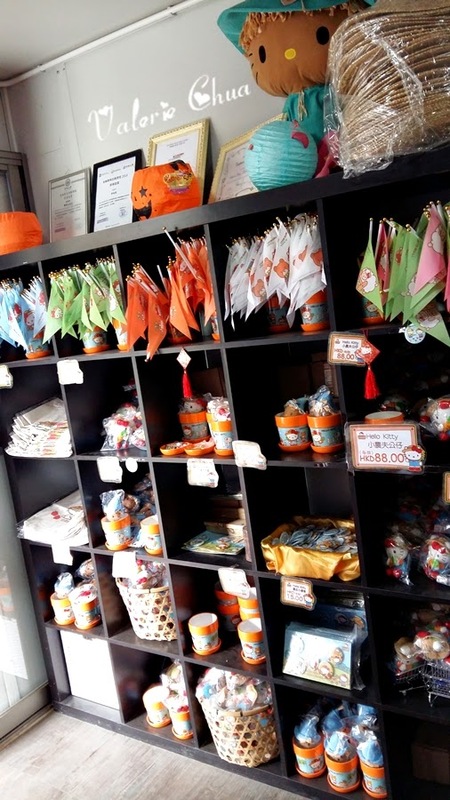 You can purchase the premium at the gift shop, including Kitty scarecrow plush, Kitty farmer plush, vase, badge, recycle bag, and little flags. Yeah, I got every single things beside the little flags. :D The staff was so kind and let me choose 2 little flags for free!! So nice of her!! Thank you thank you!! Hehe!! I don't want to go home, can I?? Boss, please faster open 1 in Malaysia!!! I will be your number 1 loyalty member!!! 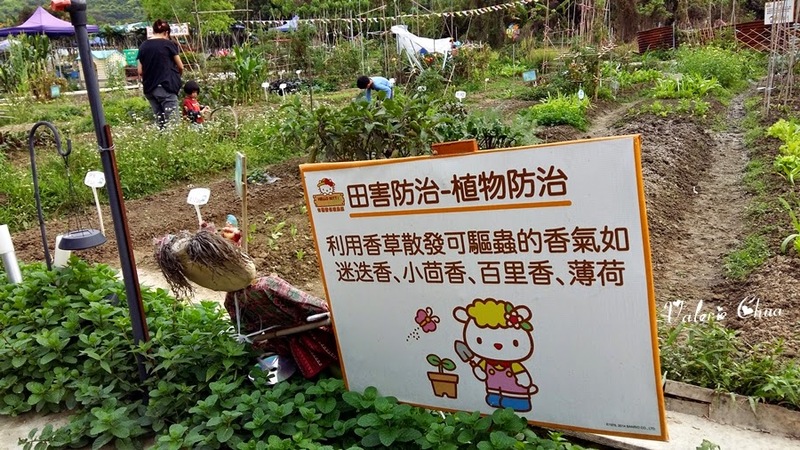 Thou Hello Kitty Go Green Organic Farm is pretty far from the city, but this is exactly what we want! A relax and refreshing, yet different kind of experience. 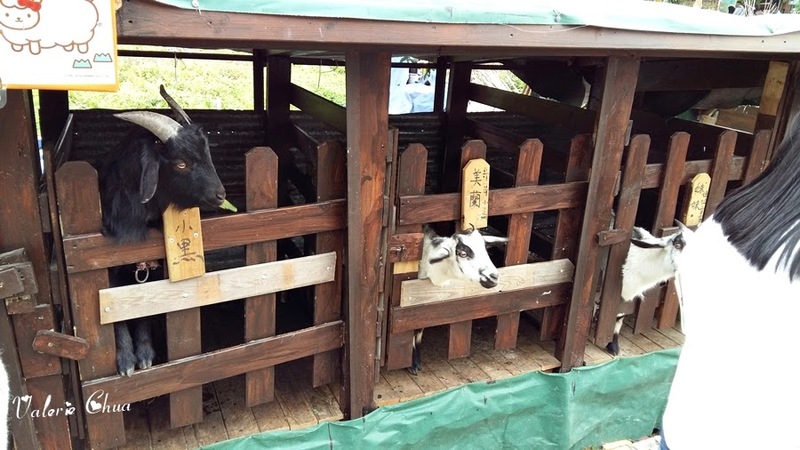 Yes, all my friends scratched their heads and wonder how come got people will visit a farm during a vacation in Hong Kong. I told you, I am unique and mainstream is just not my type. 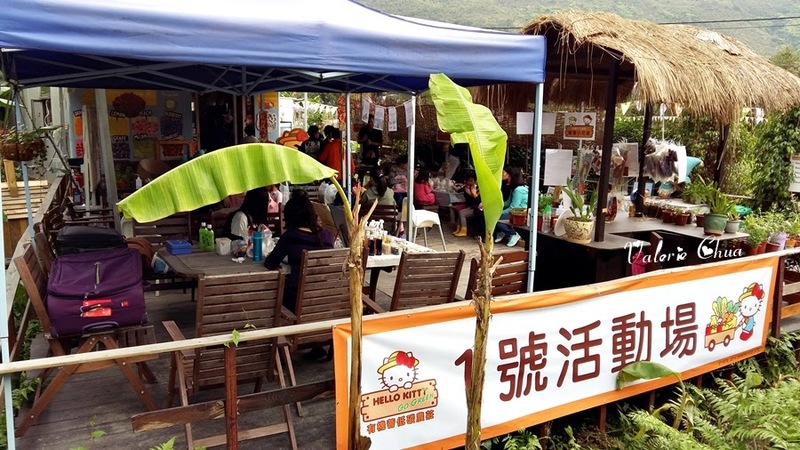 The staffs in Hello Kitty Go Green Organic Farm recommended us to try B仔凉粉 since we are near Yuen Long already. So we took her advice and went out to explore the dessert. Never did we thought that this exploration can be a real tough one. 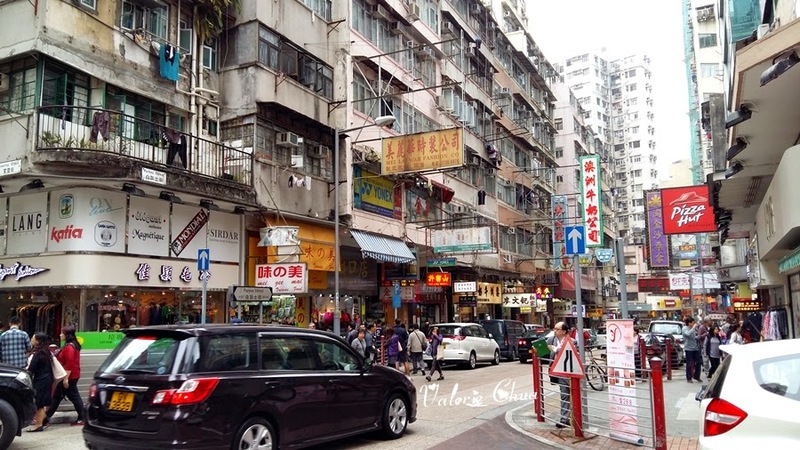 It is located somewhere very far from the MRT, or to be exact, not so far, but we were basically given many different directions by the Hongkongers. We walked for more than 45 minutes before we managed to locate the shop. Thank God for giving my man a pair of small but sharp eyes! He spotted the shop opposite the road! 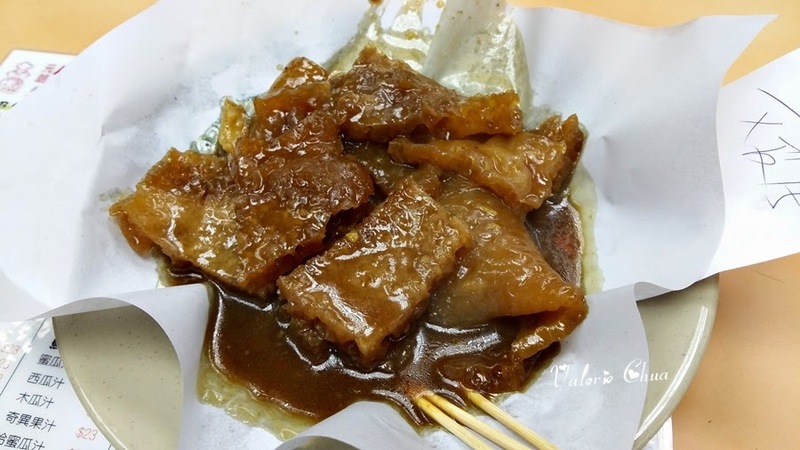 Super yummy Curry Pork Skin, HKD15. 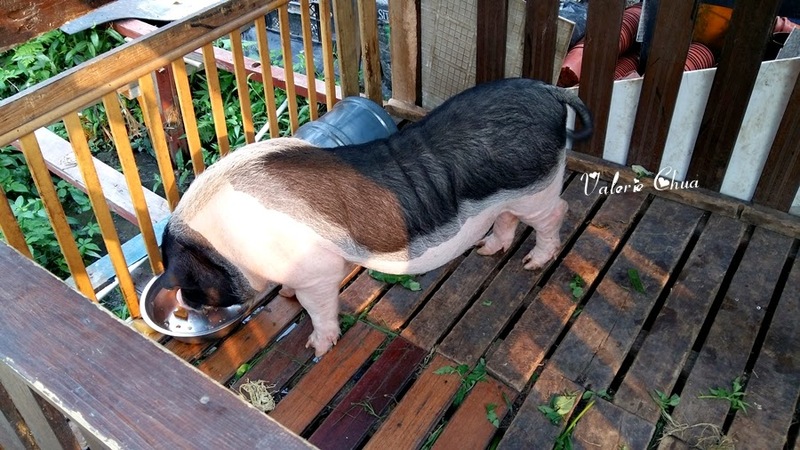 The pork skin is so chewy!! Must try!!! This pork skin made me feel that all those hassles are worthy! When they served us our dessert, we almost fainted. We done our best, seriously. Did I just had a week of fruits supply? I guessed so. B仔凉粉, HKD72. 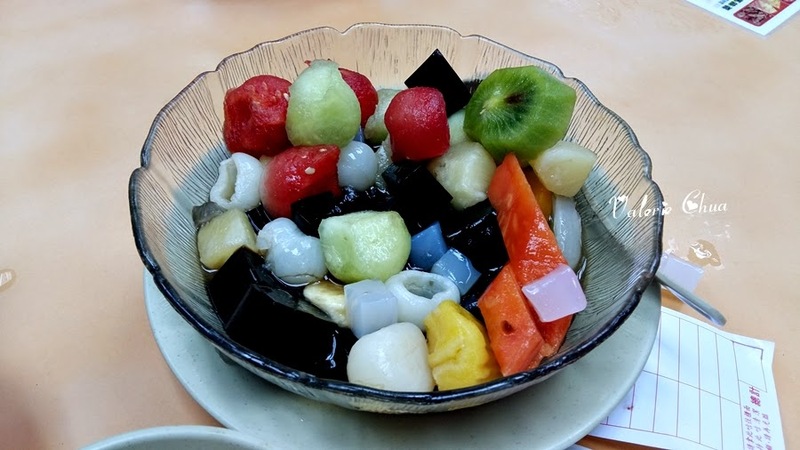 Their grass jelly is very chewy too, all the fruits are very fresh, definitely refreshed our heaty body after so much of walks. Nice! 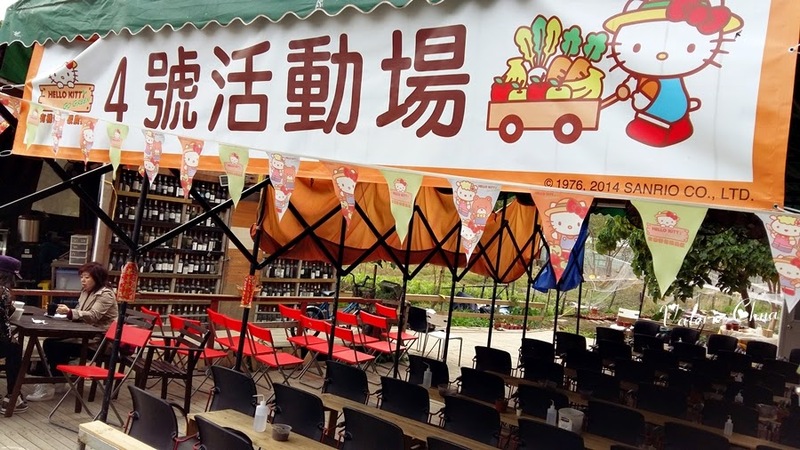 If you are at Yuen Long, you should visit here. But make sure you don't order this big like us, go for the smaller one. 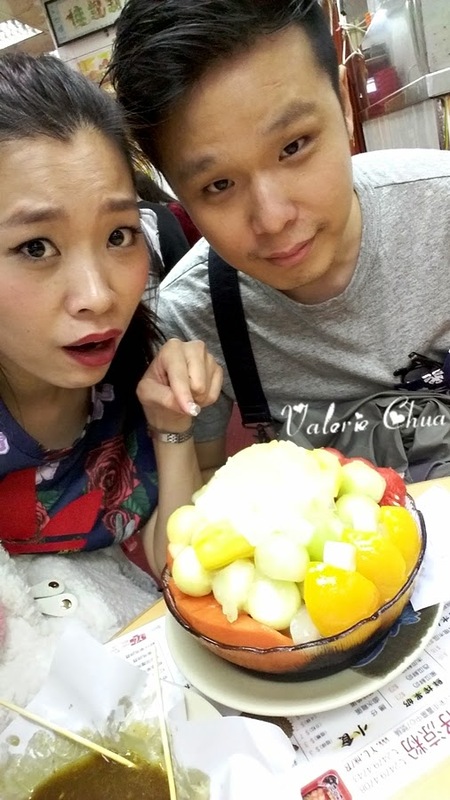 Else, you will eat till you have nightmare that all the leftover fruits are chasing you in the dreams. LOL. 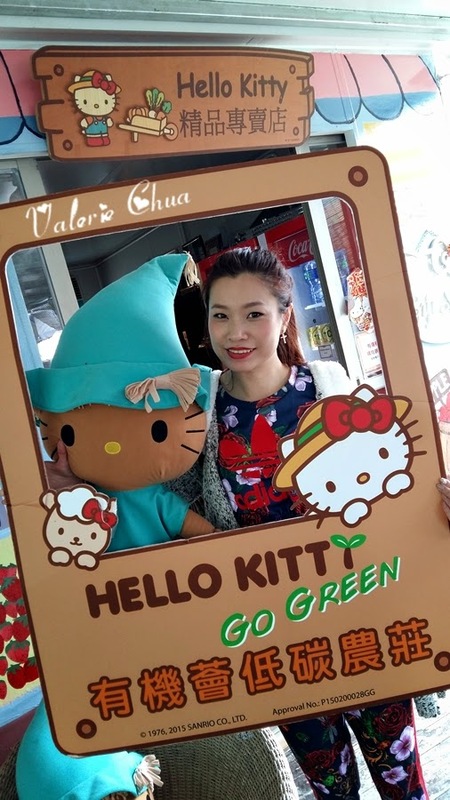 I was like the most happy girl in the world on my birthday eve after finally realized one of my dream destination - Hello Kitty Go Green Organic Farm. 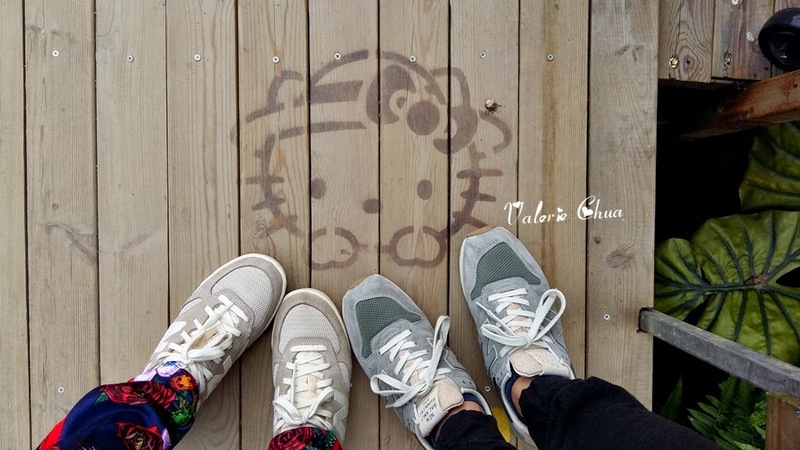 Hello Kitty fans, do not miss it! p/s: If you really don't like rural areas, then you better don't go. I think you will find it quite bored there. 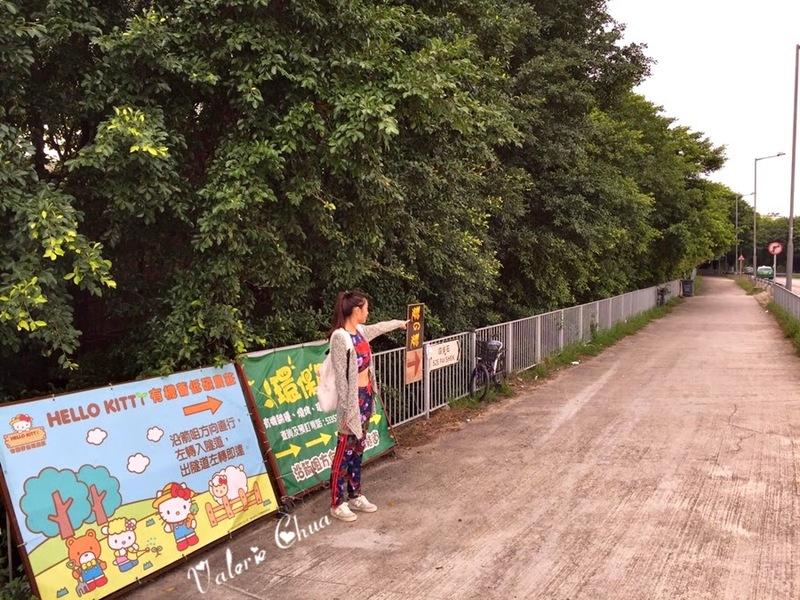 Only go if you like Hello Kitty, and on the same time, do appreciate natural and green environment.